Animal welfare NGOs have been given 24 hours to select representatives to sit on the Animal Welfare Council after they complained they were not represented. According to the Animal Welfare Act, two council members have to be selected from NGOs. In the past, they were elected “democratically” after being nominated by the same NGOs, so the groups were “rather surprised” to be excluded from the selection process of their representatives when a new council was elected. Since they were left in the dark on which of the new appointees were meant to represent them, on January 22 they wrote to the Environment Ministry and the Parliamentary Secretariat for Animal Rights asking for a “rectification of the anomaly”. However, they only heard from the ministry on Monday, asking them to nominate two people by Tuesday, said a spokesperson for the animal NGOs that sent the letter. Although the letter is dated February 4, it seems to have been mailed on Friday (February 9). Considering the large number of registered NGOs, this did not allow them enough time to consult among themselves in order to select the representatives, so they have asked the ministry for a two-week notice period. A ministry spokesman told this newspaper the animal NGOs have been asked to nominate two members by today “since two [council] positions became vacant”. In January, the Parliamentary Secretariat announced the composition of the Animal Welfare Council. According to the list provided yesterday by a government spokesman, the council is chaired by Nevise Borg Caligari and includes Director for Veterinary Services Roberto Andrea Balbo, Director for Animal Welfare Noel Montebello, ministry representative Janice Falzon, veterinary surgeons Sabrina Bonnici, Jurgen Galea and Robert Schembri, Simone Buhagiar to represent the interests of animal welfare and animal rights and Shaun Pete Azzopardi and George Fenech representing the interests of livestock breeders and animal sport groups. Joe Camenzuli and Moira Delia, who featured on January’s list, are no longer council members, according to Monday's list. 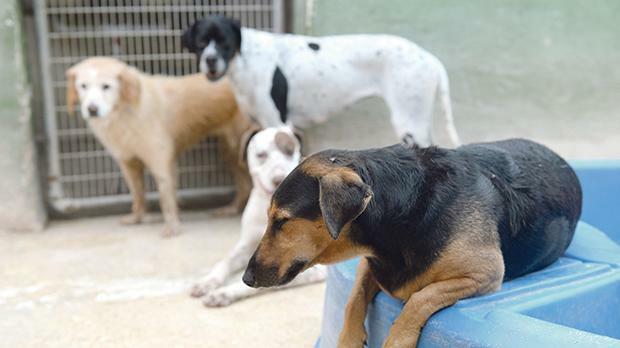 The NGOs who wrote in January were the Animal Rights Group, Association for Abandoned Animals, MSPCA, Noah’s Ark Animal Sanctuary, Ċentru Tbexbix, Island Sanctuary, Cat Care Malta, CSAF, Nature Trust, Happy Paws, SASG, National Cat Society and Animal Guardians.